Along with the extensive technical program, social events, and short courses/technical tours, GeoEdmonton 2018 wouldn't be complete without an exciting Partner Program. Partners, spouses, and guests of delegates will be able to purchase daytime tours/excursions to participate in during the week. Join us Monday morning for refreshments and a great opportunity to meet and socialize with other partners attending events over the week! Complimentary tea, coffee, and snacks will be provided. 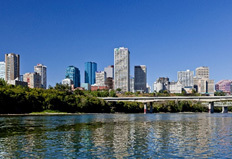 From political intrigue in civic politics to being the capital of Alberta, Edmonton has secrets – let us tell you a few! See the city from the perspectives of the characters that have helped to shape the city into what it is today. Traverse the sights and sounds of the beautiful North Saskatchewan River Valley to the old town called Strathcona. Some highlights of this tour include: City Hall, Edmonton Sport Hall of Fame, Citadel Theatre, Whyte Ave Entertainment/Shopping District, Old Strathcona Farmer’s Market, University of Alberta, West Edmonton Mall, and the 124 St Gallery/Shopping District. Experience the unique flavours of Iberian coastal cuisine using sustainable seafood, served alongside the passion and energy of live music with a Latin flare at SABOR. Lunch can be enjoyed immediately following the Big-E Sightseeing Tour, or as a separate event. We will walk to the restaurant from the Courtyard Marriott (for those not on the Big-E Tour) and back. 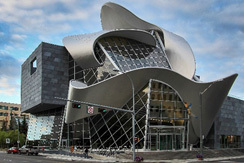 Join us at the Art Gallery of Alberta where we’ll receive a guided tour of two galleries in their current exhibition! LandMark: A New Chapter Acquisition Project is the second in a series of exhibitions supported by a Canada Council for the Arts "New Chapter" grant, that showcase new acquisitions to the AGA’s permanent collection of work by Indigenous, Métis and Inuit artists. New works by Alberta Indigenous artists Brenda Draney, Tanya Harnett, and Terrance Houle are featured. James Wilson Morrice: The AK Prakash Collection in Trust to the Nation showcases stories of Morrice's travels and rise to fame through the passion of an avid collector, A.K. Prakash. Morrice played a vital role in advancing modern artistic trends at the turn of the 20th century. This price includes AGA admission and our guided tour. 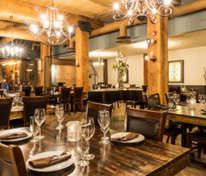 Located in the Art Gallery of Alberta, Zinc restaurant offers a relaxed fine dining experience inspired by simple elegance and served in stunning surroundings. Lunch can be enjoyed immediately following the Art Gallery of Alberta Tour, or as a separate event. During this workshop, you’ll have the opportunity to socialize as you create your own masterpiece, guided by a Gallery Educator in the Singhmar Centre for Art Education. Join us for a fun, hands-on experience at the Art Gallery of Alberta! 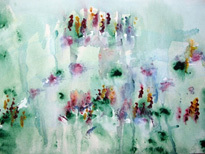 This price includes AGA admission and the workshop. You will also get to take your art creation home! 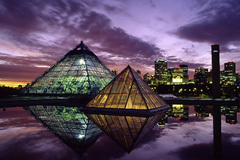 The Muttart Conservatory, Edmonton's premier horticultural attraction, is nestled in the river valley and features more than 700 species of plants in 3 climate-regulated biomes - arid, temperate and tropical - and a feature biome. Partners will enjoy a guided tour of the three regular biome pyramids, followed by free time and then lunch at the adjacent restaurant Culina Café.